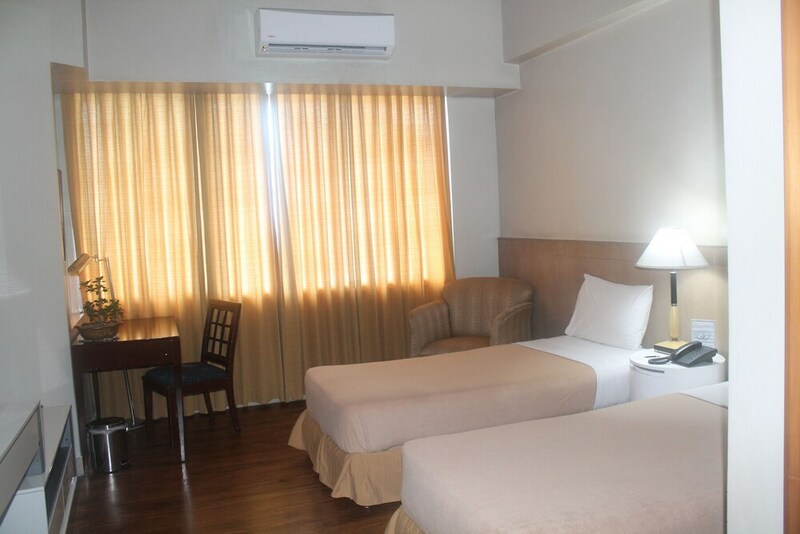 Located in Ermita, this hotel is within a 15-minute walk of Rizal Park and U.S. Embassy. Manila Bay and Manila Ocean Park are also within 1 mi (2 km). United Nations LRT Station is only a 3-minute walk and Pedro Gil LRT Station is 11 minutes. Along with 3 restaurants, this hotel has an outdoor pool and a fitness centre. WiFi in public areas is free. Other amenities include a bar/lounge, 2 coffee shops/cafés and a business centre. All 129 rooms offer free WiFi, fridges and TVs with cable channels. Minibars, room service (during limited hours) and free newspapers are among the other amenities available to guests. The Pearl Manila Hotel features an outdoor pool and a fitness centre. Dining is available at one of the hotel's 3 restaurants, and guests can grab a coffee at one of the 2 coffee shops/cafés. A bar/lounge is on site where guests can unwind with a drink. Public areas are equipped with complimentary wireless Internet access. This 3-star property offers access to a business centre. This business-friendly hotel also offers tour or ticket assistance, a BBQ and a garden. For a surcharge, a round-trip airport shuttle (available 24 hours) is offered to guests. The Pearl Manila Hotel has designated areas for smoking. Local cuisine breakfasts are available for a surcharge and are served each morning between 6 AM and 10 AM. The Pearl Manila Hotel has 3 restaurants on site. Start your morning with a local cuisine breakfast, available each day from 6 AM to 10 AM for a surcharge. You can order a meal from room service during limited hours. Rollaway/extra beds are available for PHP 900 per night. Reservations are required for massage services. Reservations can be made by contacting the hotel prior to arrival, using the contact information on the booking confirmation. Up to 2 children aged 11 years old and younger stay for free when occupying the parent or guardian's room, using existing bedding. Only registered guests are allowed in the guest rooms. No pets or service animals are allowed at this property.